Plaice, red gurnard, skate, sole, rainbow trout and octopus are the pick of a chilly and bustling Billingsgate this week, as the traders get set for the Christmas rush. 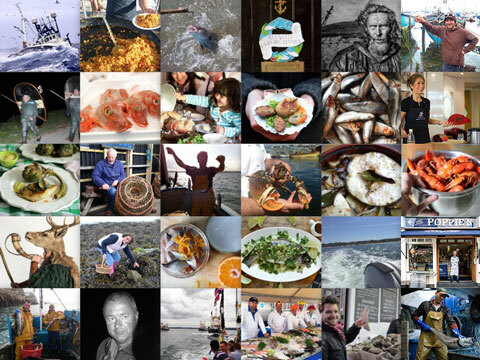 This week has been the coldest of the winter so far at the market, which is great for the seafood, helping it to stay in top-notch condition for a little longer. Every day there is a great selection to choose from: as a global hub, we have product arriving overnight from any number of warm and exotic faraway places. But despite the temptation to highlight the vast range of colourful species on offer, this week we’re going to focus strictly on the “best of British”. Large to medium-sized plaice continue to look really good: they are still in season and now starting to peak as we go into the last month of the year. 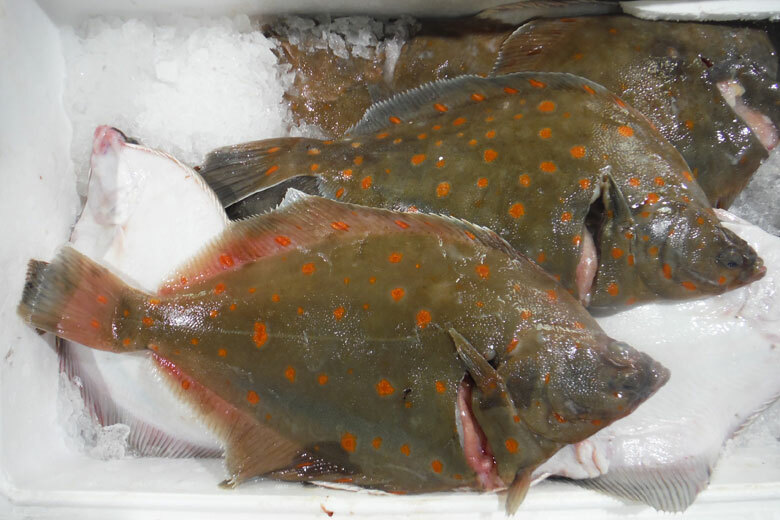 Plaice has been one of the finest fish coming into the market this year, with good quantities arriving from all around the coast guaranteeing attractive, stable prices throughout the season. Supplies will start to go short as we move into the New Year and this fish won’t be at its best again until around May. So go ahead and indulge yourself now by baking, grilling or even battering and deep-frying morsels of this excellent fish. Red gurnard from the deep cold waters of the North Sea are causing a bit of a stir this week: the quality is superb and the price is good, too. Small, but firm, the tapering body is ideal for making goujons. Easily processed and trimmed, it’s a great fish to experiment with, offering good, flaky meat with a fine flavour and few bones to contend with. Skate is a great favourite of mine, particularly “middle skate”, the central portion of the wing with the deepest cut of meat. Customers are spoilt for choice again with a fine selection arriving from the south coast and Cornwall with the skin on, and from Devon fully skinned: all are terrific-looking examples of the quality arriving now, just in time for the start of the Christmas rush. Note that you will always pay more for a skinned portion, even as much as 90p a kilo, so if your knife skills are OK then have a go at taking the skin off yourself. 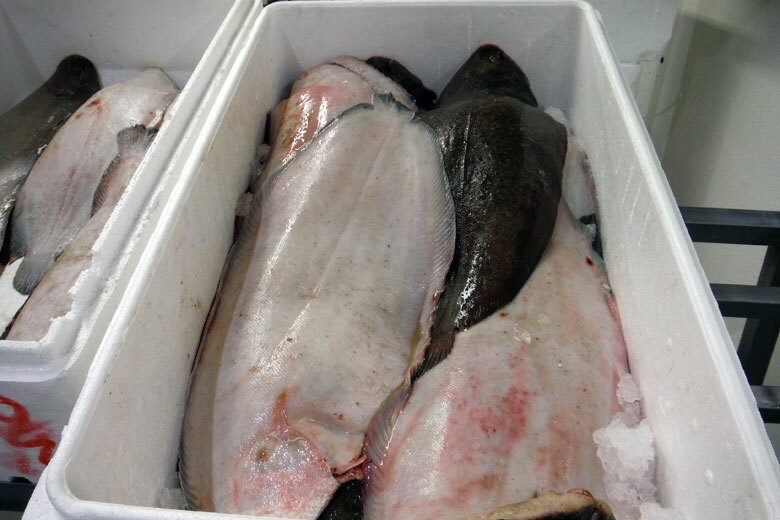 If you would like to share your fish with a special person, then there is no better fish this morning than the very large soles from Bideford. 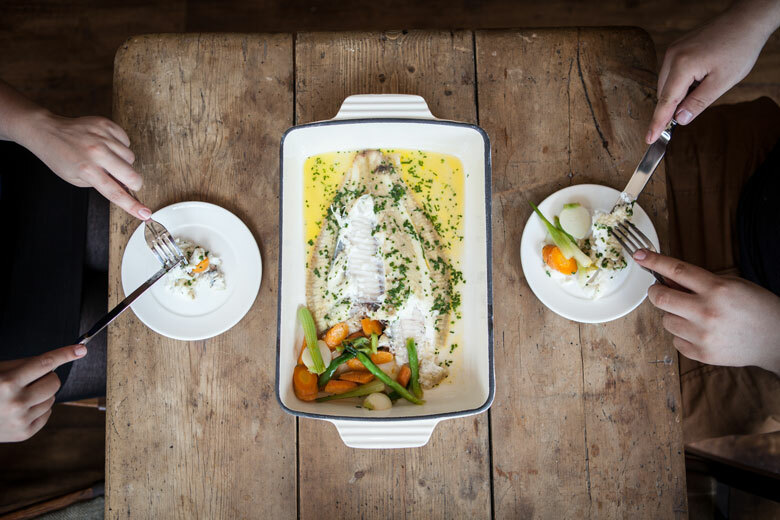 Sourced from the mid-Channel harvesting areas and out towards the Scilly Isles, these very large fish are ideal for grilling and sharing from a platter. They are not cheap, so savour every mouthful of their delightfully succulent white meat, washed down with a fine Sancerre or Chablis perhaps. Staying in the south, we move on to Hampshire, which has just sent in a fresh consignment of medium to large rainbow trout. These larger sized fish are always the best: smaller fish lack meat, flavour and the “wow” factor. Arriving filleted and pin-boned, the work has been done at little additional cost, so all that is left for you to do is to grill and enjoy them. 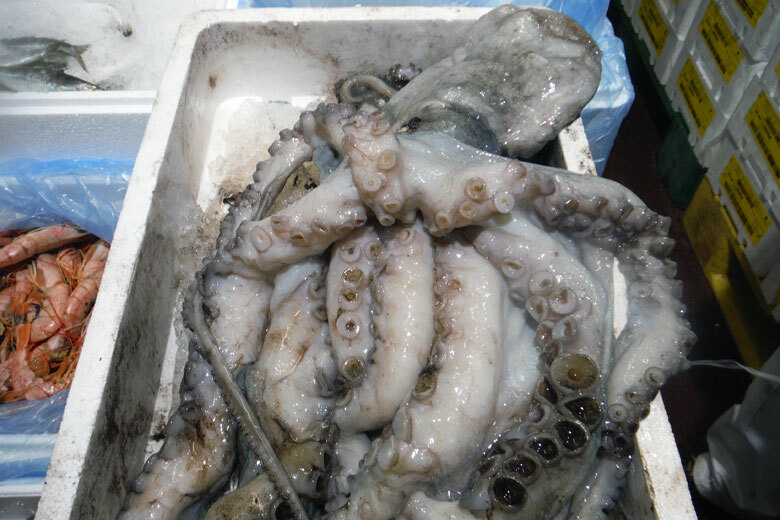 I was just about to leave the market floor today when I noticed a merchant take a late delivery of some large octopus – a great shellfish favourite of mine, as are squid and cuttlefish. Sliced, portioned and with its delicate outer membrane removed, octopus is wonderful if cooked correctly, with a great flavour and soft texture. But beware – if over-cooked, however slightly, it will be rubbery and disappointing. These particular octopus are perfectly white with large tentacles showing double suckers, which indicate that they originate from the warmer waters of the Mediterranean. So strictly speaking, I shouldn’t mention them this week – but they look so good, I just couldn’t resist.